P.R.A.Y. will have a booth at the first Mid-South AHG Regional Training Event August 25-26, 2017 in the Memphis, TN area. The display will showcase the P.R.A.Y. 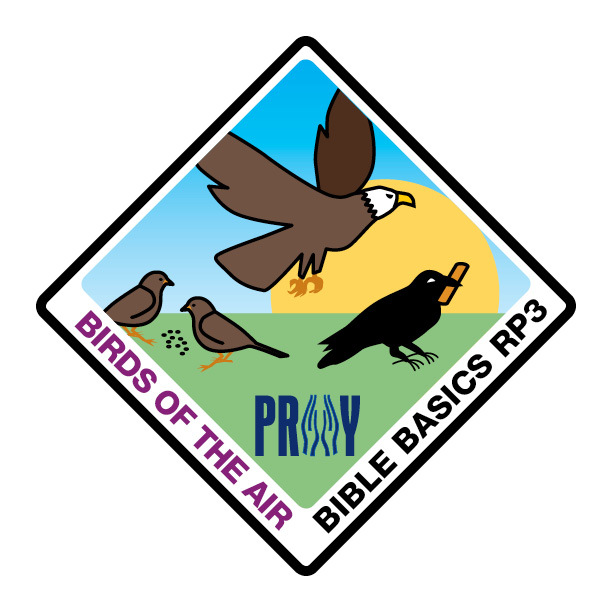 awards and the RP3 Bible patches as well as provide resources and the opportunity to gain practical understanding of the P.R.A.Y. curriculum. P.R.A.Y. looks forward to supporting the Mid-South Region and sharing in its outreach to girls. I remember comparing my birth story Jesus' birth story in God & Me. I remember the pizza party at the end of God & Family and how families are like pizza. From God & Church I remember that my home church was started by 3 women over 150 years ago. For God & Life I made a bulletin board at church about how God calls all kinds of people. Of all 4 levels, God & Church was the hardest because it was about the history of my church and my church is over 150 years old so there is a lot of history. The projects at the end of each were fun and of course the pizza party! 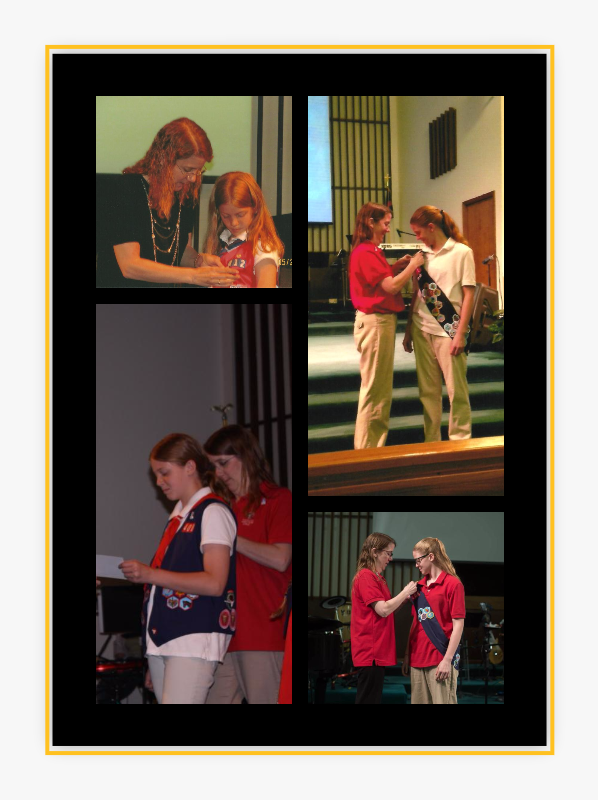 Her mother Patty explained that Troop MI0408 offers the religious recognition programs every 2 or 3 years so that girls have an opportunity to earn it at each level. Since the AHG Troop meets on the first and third Mondays, the P.R.A.Y. awards are offered on the 2nd and 4th Mondays for part of the program year. Girls are recognized during a Sunday morning worship service as well as the year-end Court of Honor. This past year there were participants in 3 of the 4 program levels (see pictures in the Spotlight section of the P.R.A.Y. website). 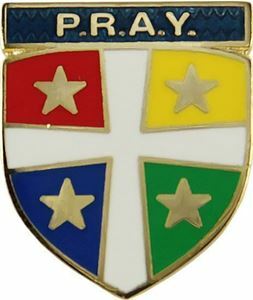 The Four Star pin features four gold stars on a red, yellow, blue, and green background. 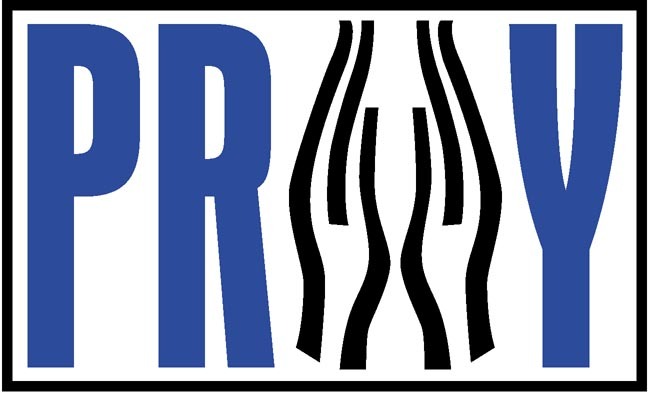 The four colors represent the four levels in the P.R.A.Y. Series, but the stars are reminiscent of Matthew 5:16: Let your light shine before others, that they may see your good deeds and glorify your Father in heaven. Four star recipients are challenged to their lives in such a way that others will see Christ in them and give God the glory. God and Me (grades 1-3) is the first step toward the Four Star Pin. You can't go backwards (awards must be earned in order at the appropriate grade level) so start your journey today. Visit the P.R.A.Y. website for more information on the Four Star Award and to view AHG usage of the P.R.A.Y. award. 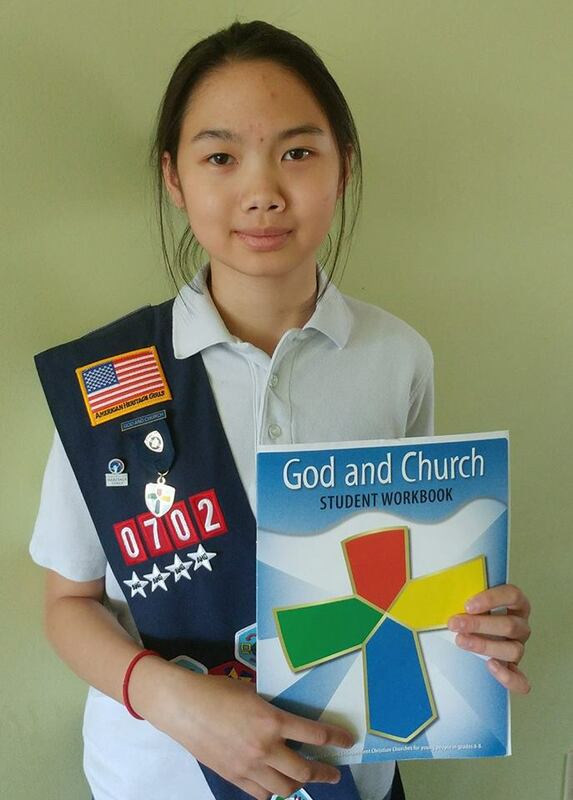 Elliana earned the God and Church award as an American Heritage Girl. Her mother Lou Ellen created a post in P.R.A.Y.’s Community Hub to share how Elliana established a Facebook group as her online photo album for her God and Church requirement. The group has grown to well over 100 members. Visit the Community Hub to read how Elliana used pictures of animals to portray the different emotions of Jesus (lesson one) and other creative ways she fulfilled the photo album requirement. Join the discussion! Have your God and Church kids created PowerPoint presentations, scrapbooks, or full-blown video productions? Share your experiences by responding to Lou Ellen’s post or add a new post of your own. Thank you for helping to build a P.R.A.Y. network on our new Community Hub! Troop IN1468 opens every meeting with a devotion, and this past year their Troop Shepherd chose to use the RP3 curriculum to lead those devotions. Their Troop Shepherd chose The Good Book, Out of the Water, and Birds of the Air to use with the girls. She spent anywhere from 15 to 45 minutes per meeting to complete these three badges over the course of the year. 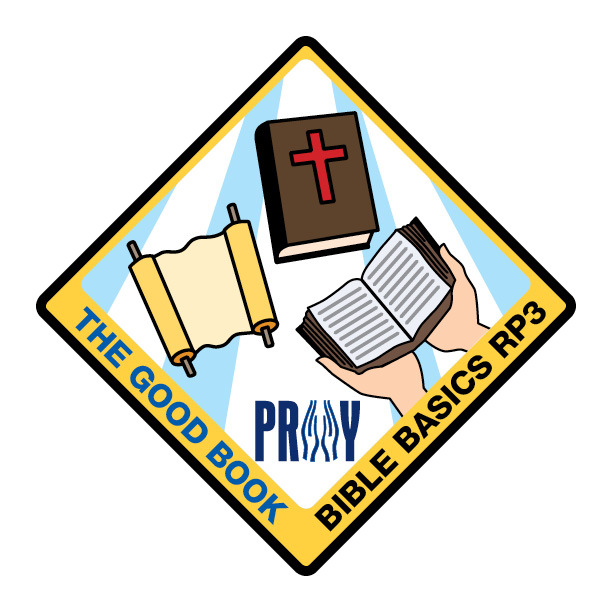 RP3 is a Bible patch series called “Bible Basics RP3: Read to Picture, Ponder, and Put It Into Action.” The series teaches both Bible STORIES and a simple outline for Bible STUDY. The curriculum is available on the P.R.A.Y. website at no cost.  Each patch focuses on a simple object (i.e. water, birds, books, etc.) and includes 3 Bible stories that feature that object. 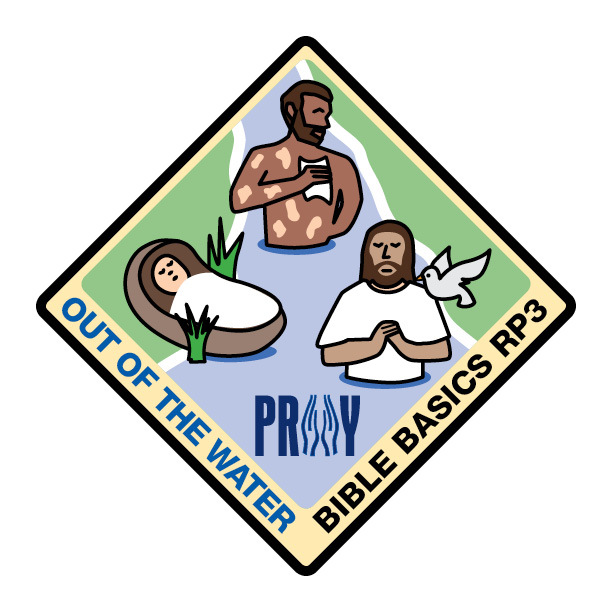 Each Bible story utilizes the RP3 outline: participants Read the passage, answer questions to Picture the story, discuss issues to Ponder its meaning, and choose an activity to Put into action. Visit the P.R.A.Y. website to request your free curriculum today. Thank you for your ministry to girls and young women!